Other Labs that Helped Us Out! After the fire we had three graduate students with little data and little prospect of getting data for at least a year as our lab was being rebuilt. 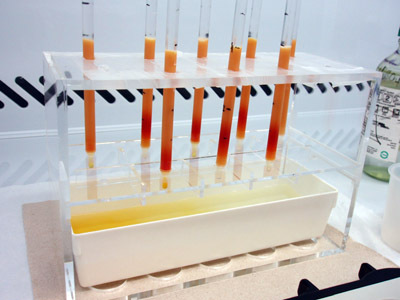 Colleagues around the world generously shared their labs and allowed Matt Jungers, Luke Reusser, and Jane Duxbury to process samples. 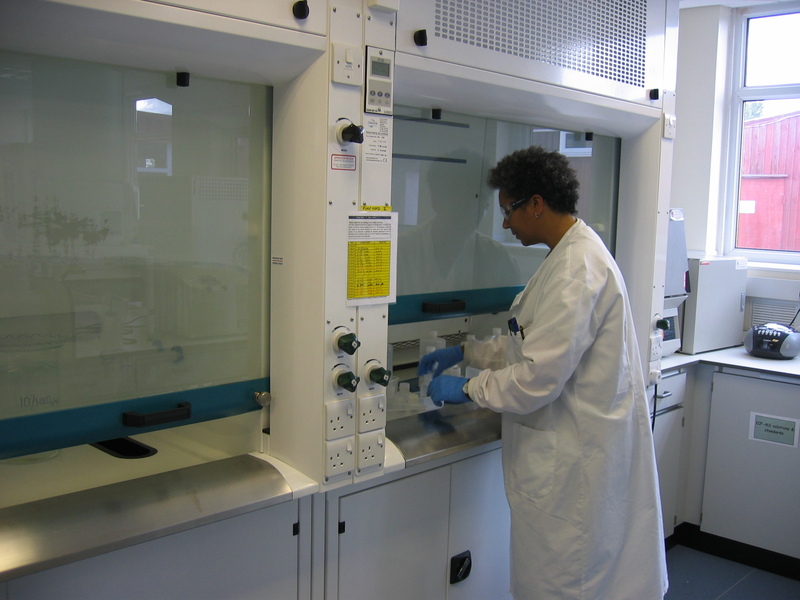 Here are a few pictures of their experiences including the image above of Luke's samples going through cation columns in John Stone's lab at the University of Washington. 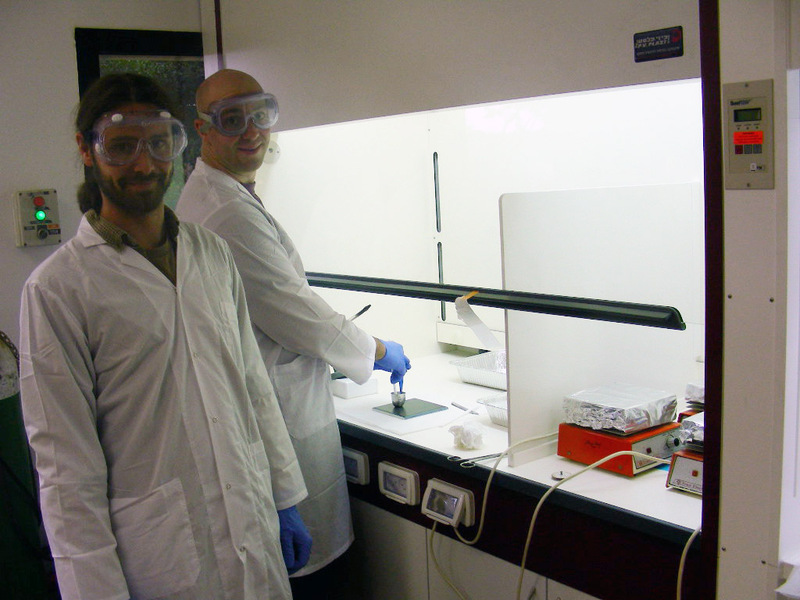 Matt Jungers and Luke Reusser in Ari Matmon's new lab at Hebrew University in Jerusalem. 2008. 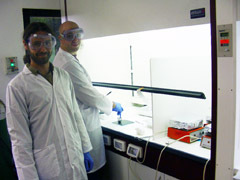 Luke Reusser working in John Stone's lab at the University of Washington, Fall 2007. 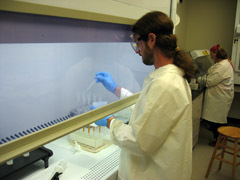 Luke is doing columns on Waipoa samples. 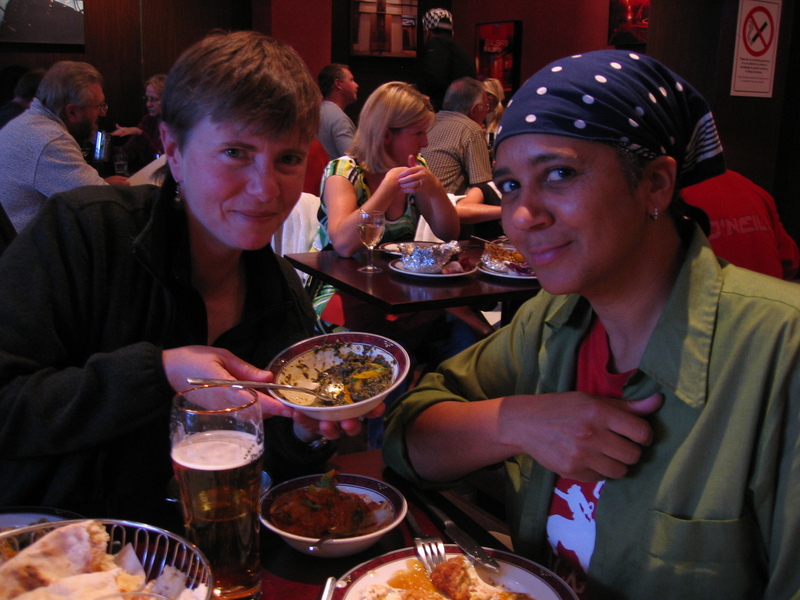 Jane Duxbury and Jen Larsen eating Indian food in Glasgow in a brief moment away from the laboratory at SUERC in Fall 2007. Jane Duxbury working on her samples in Derek Fabel's lab on the SUERC campus in East Kilbride. 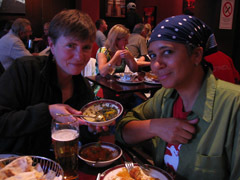 Fall 2007.